Dartmouth College Hanover, NH, USA. 1998 Special graduate program for Ph.D.
2008- 2009 -Assistant Professor of Pharmacology, Florida A&M University College of Pharmacy, Tallahassee, Florida, USA. 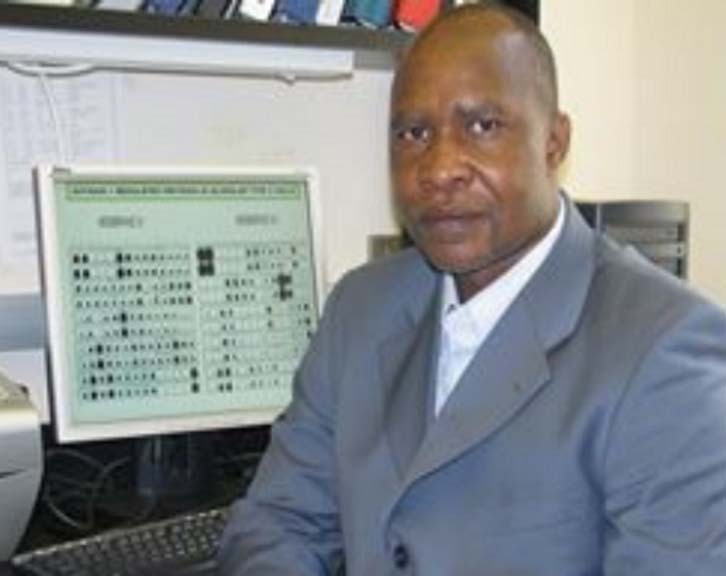 2005 – 2005 -Visiting Professor of Biology, Florida A&M University, College of Arts and Sciences, Biology Department, Tallahassee, Florida. USA. 1992 – 1994 -Fisheries officer, Kenya Ministry of Tourism and Wildlife, Kenya. Air Force research lab/RV Eglin AFB. The Role of Novel Substituted Diindolylmethane Analogues in the treatment of triple- Negative and ErbB2- positive Breast Cancer. Lamango N. S, Koikov L Randolf D., Abonyo KO and Hubbard J. (2007). Non¬cholinergic organophospphorous toxicity: possible mechanisms involving protein prenylation pathway. A chapter in a book entitled Neurotoxicity syndromes, Nova Publishers. ISBN: 1-60021-797-4. B.O. Abonyo and R Marijani (2010). Efforts to eradicate asthma. International Innovation, June 2010, pg. 71-73. Equar Taka, Younes J. Errahali, Barack O. Abonyo, David M. Bauer and Ann S. Heiman * (2008). Post-transcriptional silencing of CCR3 downregulates 1L-4 stimulated release of eotaxin-3 (CCL26) and other CCR3 ligands in alveolar type II cells. Cytokine.44 (3):342-51. Lamango N. S, Koikov L Randolf D., Abonyo KO and Hubbard J. (2007). Noncholinergic organophospphorous toxicity: possible mechanisms involving protein prenylation pathway. A chapter in a book entitled Neurotoxicity syndromes, Nova Publishers. ISBN: 1-60021-797-4. Abonyo BO, Lebby K. D, Tonry, J. H, Ahmad, M, Heiman, A S. (2006). Modulation of eotaxin-3 (CCL26) in alveolar type II epithelial cells. Cytokine. 36:237-44. Abonyo BO, Alexander MS and Heiman AS. (2005). Autoregulation of CCL26 synthesis and secretion in A549 cells: A possible mechanism by which alveolar epithelial cells modulate airway inflammation. Am. J. Physiol. Lung Cell Mol Physiol, 289:lA78-88. Heiman, A, Abonyo, B., Darling-Reed, S. and Alexander, M. (2005). Cyt.okine stimulated human lung alveolar epithelial cells release eotaxin-2 (CCL24) and eotaxin-3 (CCL26). J. Interferon and Cytokine Res 25:82-91. (Picture developed in our laboratory was used for the cover of this journal).